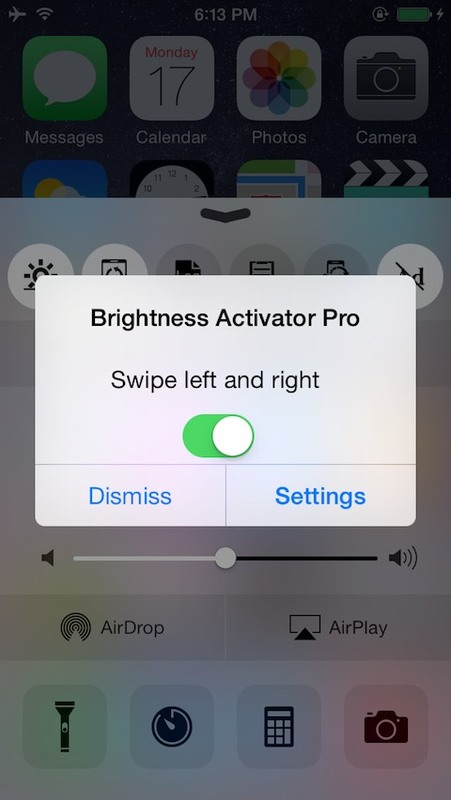 Brightness Activator Pro user is Free! by the left and right swipe. Returns to the usual state by carrying out the long hold of a home button or the screen. 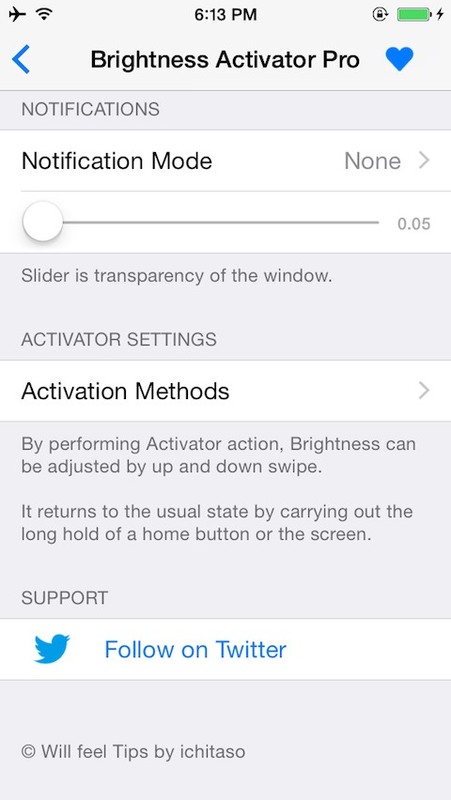 When Flipswitch is installed, a function can on/off (If you hold switch, optional display opened). 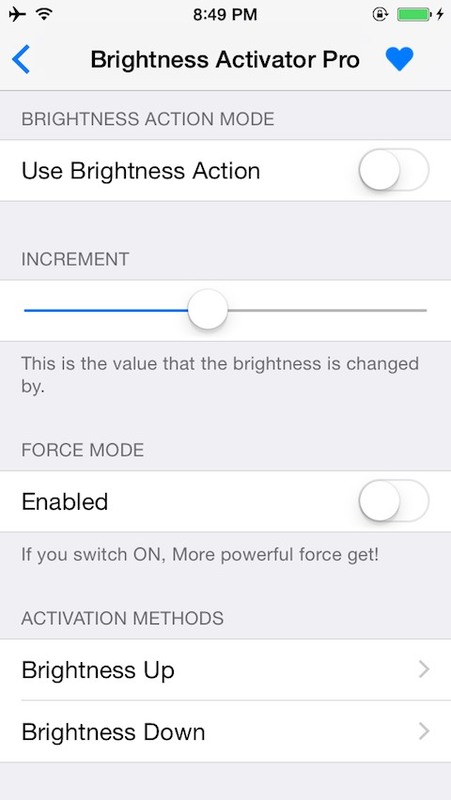 "Dismiss Brightness Change Mode" is not working in iOS 9. Please use long press in Home screen. 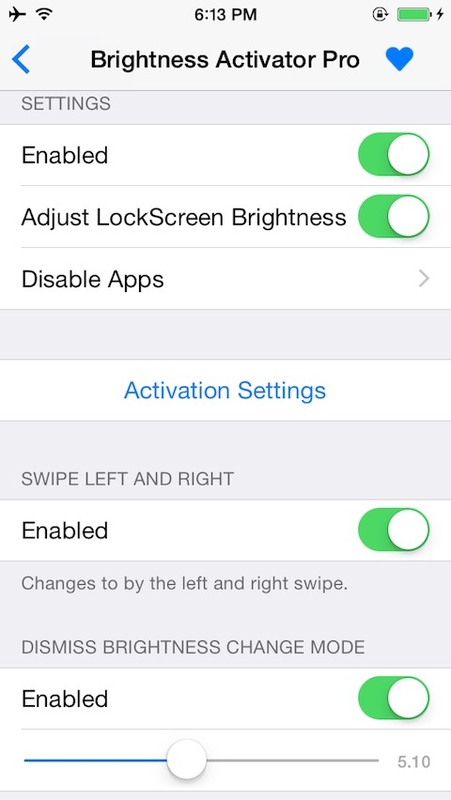 Change options in Settings app.